PHILADELPHIA (AP) - Alex Lifeson is the near-anonymous member of Canada's premier power trio, Rush. His longtime road nickname, "Mr. X," shows just how seamlessly he fits betweenthe distinctive bass and equally distinctive vocals of Geddy Lee and the rhythmic and verbal complexities of drummer-lyricist Neil Peart. So Lifeson's new solo project, "Victor," was a chance to reveal just what kind of musician he was. As a review of the record noted, he could "go solo in almost any manner from folk-rock hippie to death-metal shredder and it would be a surprise." "Victor" is neither of those. It's not like Rush. It's not even really a "guitar" record. It is a disturbing, song-oriented album that illuminates Lifeson's personality. Lifeson, 42, jumped at the chance to do a solo project after Rush went on its first real hiatus since its inception about 20 years ago. Lee and his wife, Nancy, became parents following the 1994 "Counterparts" tour, and he took off a year and a half. The project boosted Lifeson's personal work ethic. "I'm by nature a bit of a lazy person," he says. "I can get very excited and enthusiastic about something, and after a short period of time, I lose interest and I don't see it through. You can ask my kids - we have so many things that I started for them, little go-carts and stuff, that never happened. "I find that I dive into things more quickly (now) and at the same time with a sense of mission - whether it's doing the dishes or getting involved in something a little more serious than dishes." 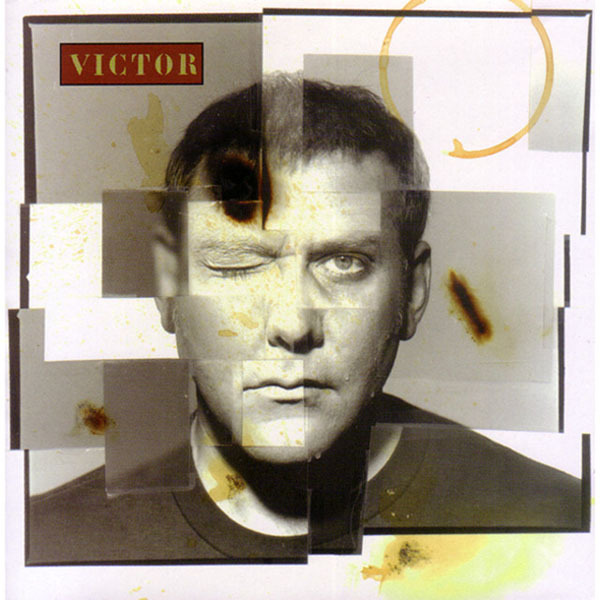 Victor features guest vocalists Edwin (from the Canadian band I Mother Earth) on most songs and Canadian songstress Dalbello on "Start Today." Lifeson collaborated with guitarist Bill Bell, who's worked with fellow Canadian Tom Cochrane. Primus bassist Les Claypool guests on one track, "The Big Dance." Lifeson's credited with vocals on "At the End" and "Victor," but he does not sing. He instead narrates; he's the dispassionate observer between the masculine, tough voice of Edwin, and the feminine, more temperate voice of Dalbello. "I'm not a singer," he said. "I didn't feel that I had to really sing on this record all over the place to satisfy something in my ego." Lifeson dealt with the dark side of love on this record, and the songs detail many nuances of that side. Some of the feelings are personal; he realized after being with his wife, Charlene, since he was 15 that they were taking each other for granted. The title track is taken from a W.H. Auden poem. It tells the tragic tale of the morally upstanding Victor, who marries the fickle Anna. Although he is deeply in love with her, he kills her in a righteous rage after he overhears that she has been unfaithful. Lifeson also has inserted a little humor. He roots "Shut Up Shuttin' Up" in a punchy funk groove and enlists Charlene and her friend, Esther, to help out on vocals - well, tirades might be more like it. The two of them kvetch about their mates' foibles and bad habits. By track's end, Lifeson has had it and repeatedly bellows, "SHUT UP!!" Lifeson did only two instrumentals: "Mr. X" and "Strip and Go Naked." "Strip" had two sources for its title, one of which came courtesy of Bell. "There's a drink that he invented called 'Strip and Go Naked,' which after you've had a couple, that basically is what happens," Lifeson said. "On the other side, we thought that was kind of what the song was about. We stripped the whole song down to very basic elements - it goes through a lot of different changes musically, but it's basically stripped down." The song's the thing in both cases; Lifeson said he didn't want to indulge in what he called "guitar doodling." "I don't feel that I need to showcase my abilities as a guitarist," he said. "I've been playing for a long time and I have a pretty good track record - lots of records where I've had a chance to let loose - and I didn't want to do that with this record." Lifeson said this project gave him a new sense of self-confidence and helped solidify his role in Rush. The band is working on a new album scheduled for release in the summer or early fall. "Knowing that I could have done something on this size and have seen it all the way through just made me feel much stronger about who I am and what I want to do and where I want to go," he said. "There's a new level of respect that we have for each other. ... There's a sense of energy on this record that didn't exist before - it feels very complete and very tight. This whole new level of maturity that we've reached is really going to show on this next Rush record."